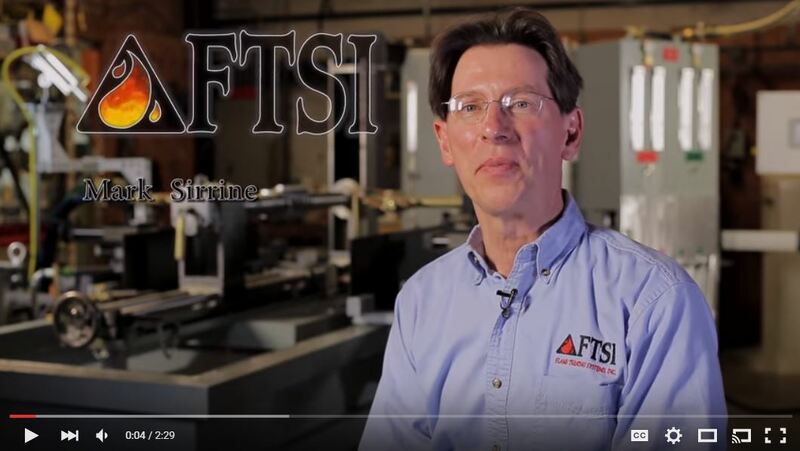 Surface hardening of steel and cast iron rolls and shafts can be achieved in several ways: flame or induction hardening, furnace hardening or carburizing. Flame hardening is an economical choice. 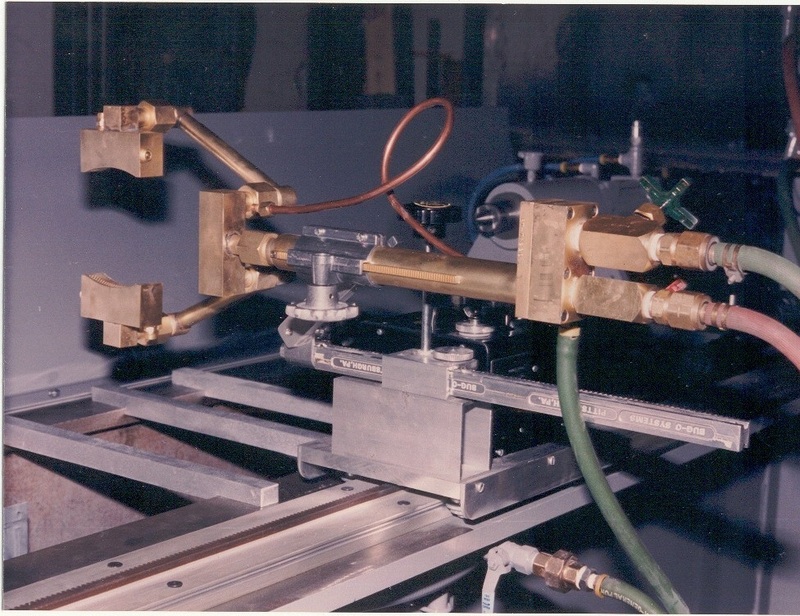 The technique used for flame hardening rolls and shafts is called the combination method since it involves spinning the shaft and scanning a water quench flame head. The burner and quench can be a continuous ring or a series of segments. Flame Treating Systems uses movable segmented burners. This way one set of flame heads can harden a range of diameters, reducing too long costs. 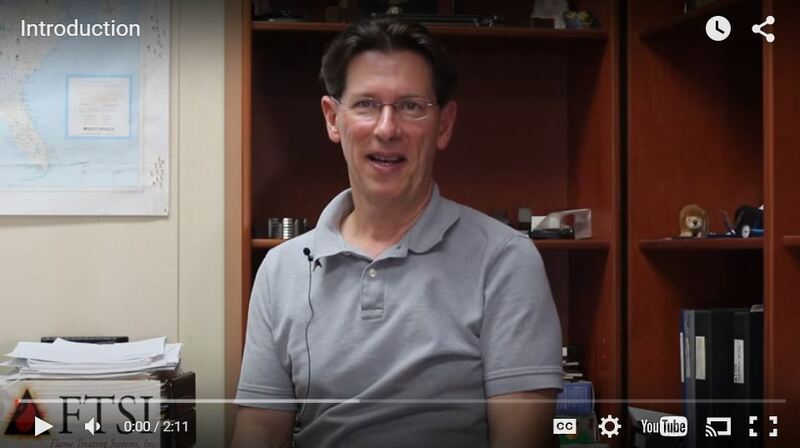 There are a range of ways to use segmented burners. 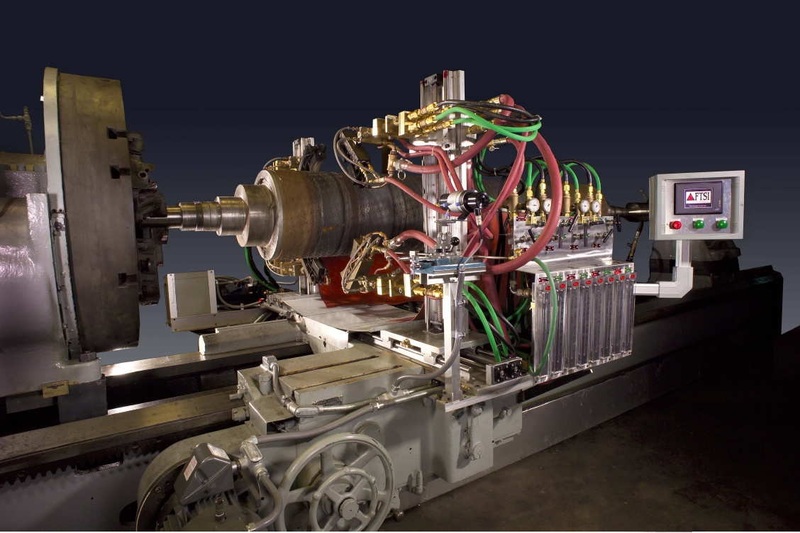 One is segmented burners combined with a yoke system that can then be attached to a lathe. A more sophisticated system attaches torches to a mechanism which moves the burners to various diameters. This allows for movement of the burners during the flame hardening process, which then allows for precision control of the part temperature during the flame hardening process. This roll surface hardening process has been used on rolls made of 1045 and 4140 and 52100 type steel and cast iron rolls. And the surfaces can be other than smooth – spine and seated surfaces are also hardened this way. A typical depth of hardness is 1/8” to 3/16” for 1045 and 4140. 52100 can harden deeper. In order for all these processes to work properly, a complete flame hardening system is required. The proper flame head design, plc controls of scanning speeds and heat times, control and monitoring of oxygen and fuel flows are critical for the proper flame hardening of steel gears. Flame hardening is a versatile and economical way to accomplish surface hardening. With the correct controls, production is efficient and quality is consistent. And maintenance of the equipment is easy and inexpensive. 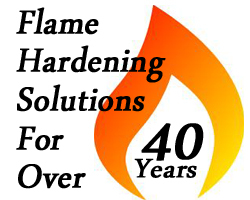 For over 40 years, Flame Treating Systems, Inc. has been designing and building a broad range of flame hardening equipment: complete systems as well as specialized components to be used in flame hardening steel and cast iron parts. 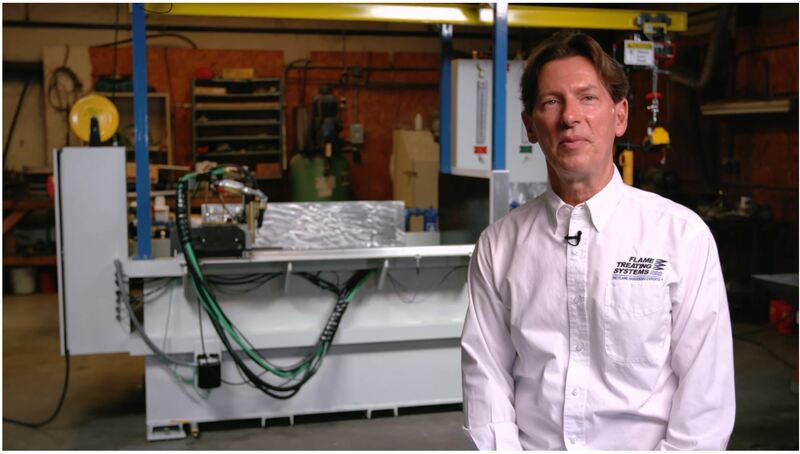 If you have questions about your heat treating solution, email me at mark@flametreatingsystems.com or call 919-956-5208.